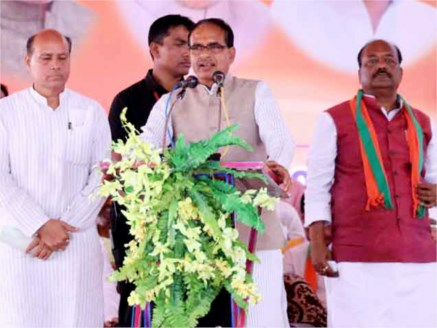 Chief Minister Shivraj Singh Chouhan during his address at Naryawali of Sagar district said that incentive amount at the rate of Rs. 500 per quintal will be given to soybean producing farmers. The incentive amount for urad producing farmers is being decided. 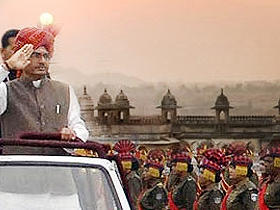 On this occasion, CM Chouhan dedicated and laid the foundation stone of Rs. 400 crores approximately for Sagar district. The Chief Minister mentioned that the state government is making constant efforts to bring prosperity in the lives of farmers, needy people and the poor. Informing about the Mukhya Mantri Jan-Kalyan (Sambal) Yojana, the Chief Minister said that the eligible beneficiaries of all the sections of the society are being benefitted under this scheme without any discrimination. 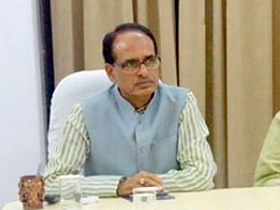 CM Chouhan said that development works costing Rs. 5 thousand crores are in progress in Sagar district. An amount of Rs. 105 crore 20 lakh has been given to the farmers of the district under the Bhavantar Bhugtan Yojana. Similarly, Rs. 45 crore 40 lakh, Rs. 242 crore and Rs. 45 crore 40 lakh has been provided against drought relief, crop insurance and to the wheat producing farmers respectively. CM Chouhan laid the foundation stone of Kadan-Satgarh Irrigation Project, Government Industrial Institute and Mukhya Mantri Sarovar Yojana. The estimated cost of these works is Rs. 400 crores. Copyright © Shivraj Singh Chouhan . All rights reserved.